American metalcore band Attila is heading to Thailand this 8 May! 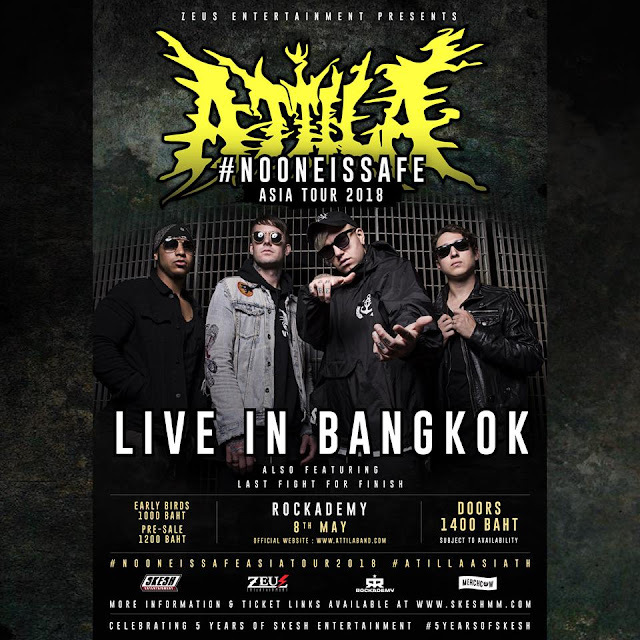 The band is making a stop at the Southeast Asian country’s Rockacademy for their #NOONEISSAFE Asia Tour. Customers can also purchase tickets via bank transfers to Kasikorn Bank and collect them at the venue during the day of the concert. Attila to perform in Thailand this May! 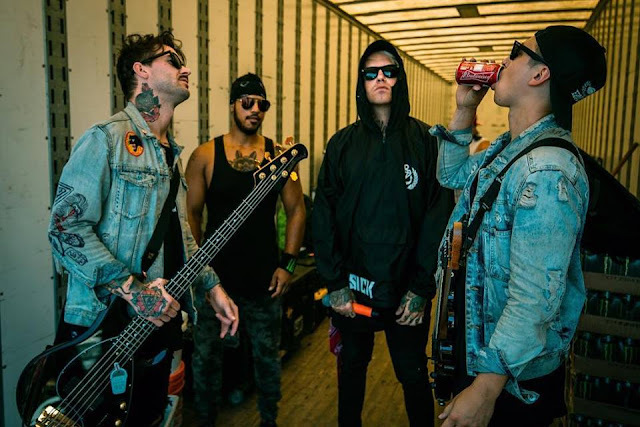 Atilla is currently made up of Chris “Fronz” Fronzak (lead vocal), Chris Linck (lead guitar), Kalan Blehm (bass) and Bryan McClure (drummer), after the departure of former drummer Sean Heenan.